ONLINE. NOW AT A NEW LOWER PRICE! Hurricane Irma ravaged its way through the Caribbean and up into Florida and left many people without homes. The next day I found roof tiles from several different homes scattered accross my yard and as I picked them up the ideas for this project began. I already illustrate fishing bouys that I collect when cleaning the beach, why not illustrate these pieces of debris and try and raise money to help the relief fund? 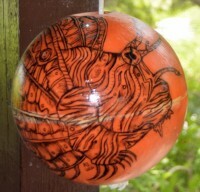 I collect fishing bouys when I clean the beach and use india ink to illustrate them. Ink doesn't bind to the plastic composite so it's a fairly arduous process as once the ink is on you can't touch that part or it'll smudge. Once the illustration is complete I use a clear laquer varnish that seals the design in place and makes these illustrated bouys an all weather decorative element! If you're interested in purchasing one or would like a custom piece, please get in touch! The new book is here! Mystical Seas made it's debut at the 7th Annual Arts and Crafts Expo here in the Turks and Caicos Islands. 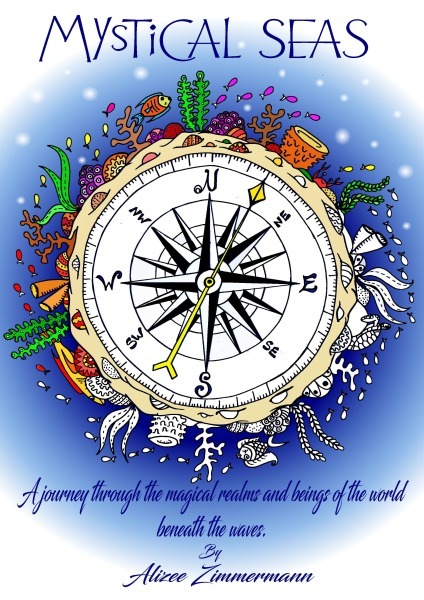 Pirates, mermaids, giant squid and ghost ships are bound to take you on a magical colouring adventure as your discover the world beneath the waves. So very happy to be a part of this year's Race for the Conch Eco Sea Swim in the beautiful Turks and Caicos Islands! A print of this 100% hand-drawn pen and ink illustration will be included in the tote bags given to each swimmer! Another fun logo design for wedding planners extraordinaire; forever romantic !​ Click HERE to see more! 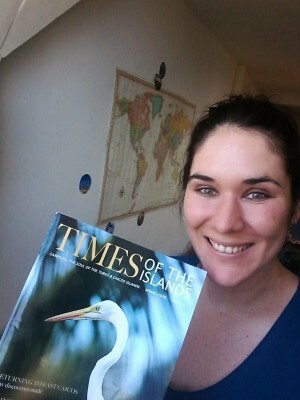 A big thank you to Kathy and Claire and everyone who makes Times of the Islands such a great magazine. It was an honour to be included.